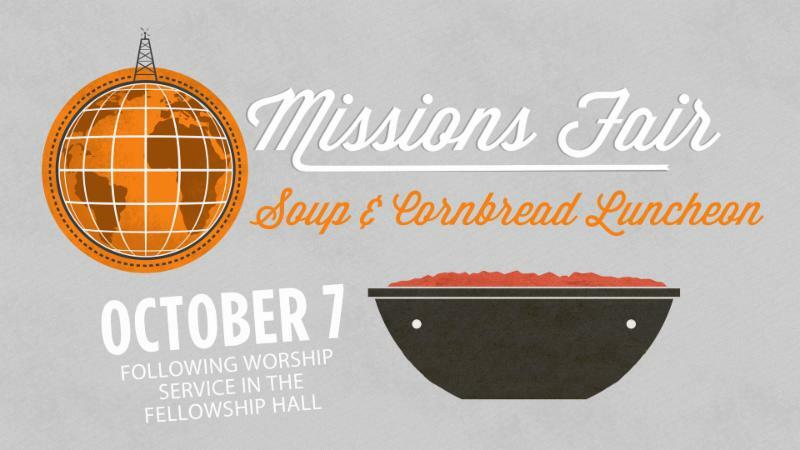 The Mission Partnership Fair will be held in conjunction with the Annual Georgia Baptist World Hunger Fund Soup and Cornbread Luncheon. The Mission Partnership Fair is an opportunity for the congregation to learn about Tabernacle’s various Local Ministry and Global Mission Partners, in addition to providing a venue for congregants to engage with these various entities. During lunch, the Council will present a brief program that highlights Mission Trips from the previous year and preview upcoming trips in 2019. There will be sign-up tables available for those interested in upcoming mission trips. Local Ministry Partners will also be present with informational booths that connect congregants with volunteer and support opportunities. These local ministry partners include Alice’s House, Campus Outreach, Carroll County Soup Kitchen, Carrollton Baptist Association, Gideon’s International, Open Hands United Christian Ministries, Georgia Baptist Children’s Home, Rockridge Assembly, and THS Homeless Resource Bridge. Lunch will be provided with an offering to the Georgia Baptist World Hunger Fund. 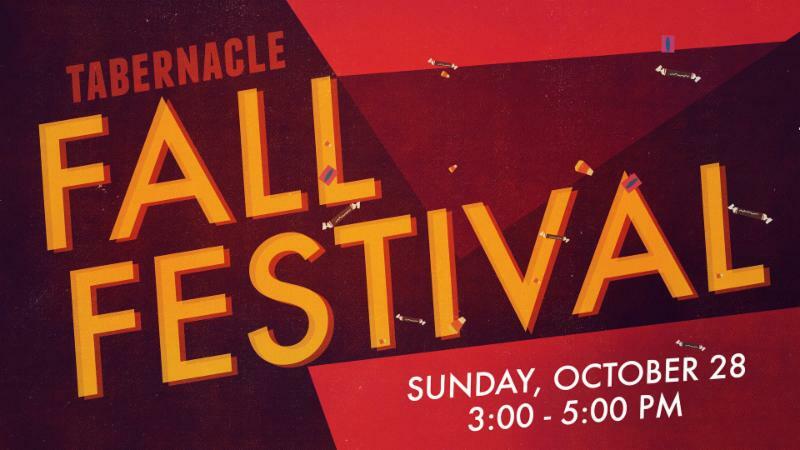 The Fall Festival is October 28 from 3:00 p.m.-5:00 p.m. There will be games, prizes, music, a chili cook-off, and more. We are collecting candy, pencils, erasers, and other fun school supplies to use as prizes. Please place items in the collection boxes near the Fellowship Hall and Worship Center. We need volunteers to help with setup and running games. If you would like to volunteer, please contact Crystal Gilley in the church office or Valerie Cooke at 678.378.1766. On Sunday night, October 7 at 6 PM, our kids (aged 4-5th) grade will present a fall concert as they share how they’ve been learning about being a lifelong worshipper each Wednesday night. You will hear our kids sing, play instruments, participate in movement, present their visual art projects, and do drama/puppets. It will be a busy day at Tabernacle, but we want to support our kids as they lead us. Childcare will be available for children 3 and under. Babes with Bibles and Babes (BBB) is a group of women committed to discovering how to bring God glory in our everyday lives. As wives, mothers, and friends we strive to nurture, encourage and train each other to be Godly women. The class meets Wednesday mornings from 8:45 am-10:15 am in the Parlor. We will study Chase by Jennie Allen. To sign up, email Leeann Allen at leeannsallen@gmail.com . Childcare is provided. All women are welcome to attend. Cost of the book is $8.00. Students, come join us in the TLC after the Carrollton game on Friday, September 21, for the 5th Quarter. Hotdogs and drinks will be served. On Sunday, September 30, at 5:00 p.m., we will have a worship service focused on praying for our student ministry. There will be worship led by some of the students and Pastor Stephen will share a message. We encourage parents, youth workers, and anyone interested in the Student Ministry to attend this night of worship. The Senior Adults will travel to Helen, Georgia for an overnight stay in the North Georgia Mountains. The trip is October 15-16. The cost is $60.00 plus meals. Deadline for sign-up and deposit ($30.00) is Sunday, September 30. The menu is as follows: roast beef, mashed potatoes, green beans, salad bar, rolls, and peach cobbler. ﻿The cost is $6.00 per adult and $3.00 per child. Reservations are not required, however we encourage you to sign up for the following week when you pay for the current week, so we have an estimate. Sunday, September 23 to vote on the Proposed Giving and Expenditure Plan without discussion. Click here to view plan. A thank you note has been received from Martie Brown. To Hellen Jackson on the death of her sister, Lamerle Abbott, who died September 13. To Karen Warren on the death of her mother, Frances Barnett, who died September 15. 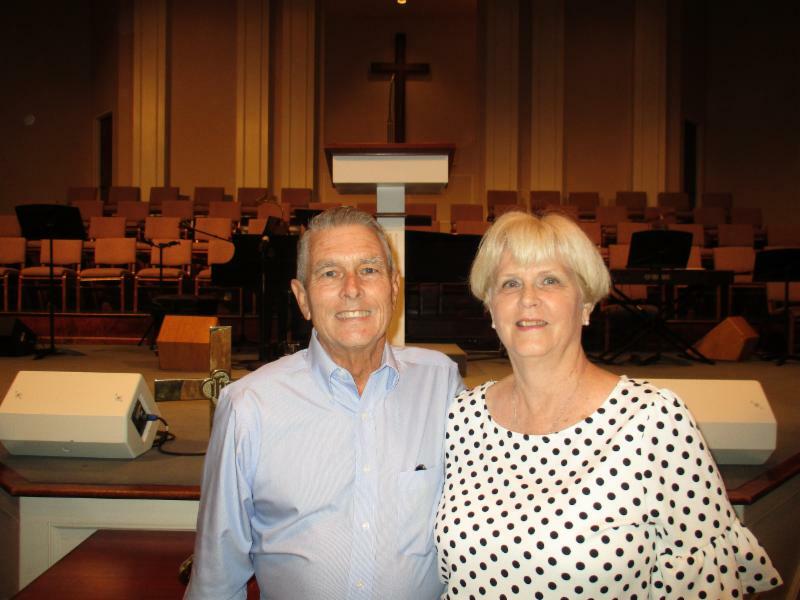 To the family of Tim Chastain, our member, who died September 16.